One day during my junior (sophomore?) year of college I had some sort of breakdown and didn’t have my copy on me. I went to the school library and ended up finding a beautiful early edition still in very good condition. I checked it out and stood on the quad, reading that line over and over, listening to the Last Days of April (LDOA) song “Make Friends with Time” on repeat. Since I was 5 or so I was terrified of time and death and had many, many sleepless nights lasting long into adulthood. I was raised a Roman Catholic and their concept of an afterlife never made any sense to me or gave me any comfort (especially when I was told my pets wouldn’t be there). The idea, however, that death could be an adventure, made me feel better and gave me comfort that I never got from years of going to church. Much later when I discovered LDOA, the song title “Make Friends with Time” immediately intrigued me before I heard any of the record. Just the idea that one didn’t have to fight against time but rather come to an understanding and acceptance of it was revolutionary. Living in a culture obsessed with multitasking and getting as much done as possible, I never heard of such a thing. The song is hauntingly beautiful and turned out to be my favorite on the record, and always makes me want to write and create. 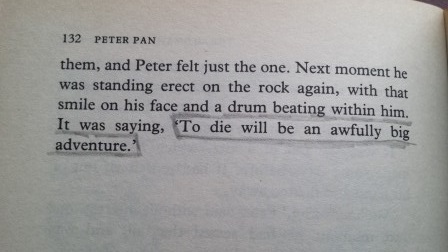 Combining that with Peter Pan suddenly made the world a much less terrifying place. 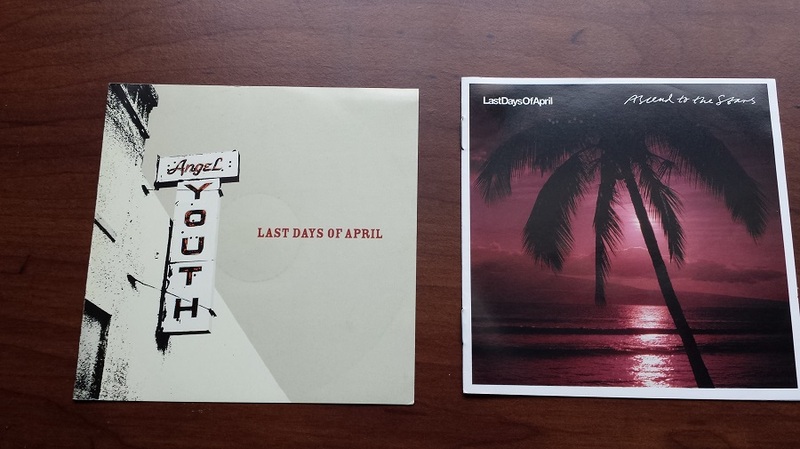 LDOA have a number of records out, but I’ve only found two that give me the desire to write – Angel Youth (which contains “Make Friends with Time” as well as a wonderful extended instrumental version of the song) and Ascend to the Stars.